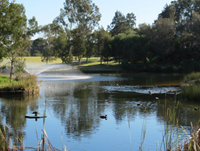 Clears water in ponds, water features, and aquariums naturally by encouraging growth of colonies of microbes and beneficial bacteria with enzymes to consume organic matter and reduce levels of ammonia. 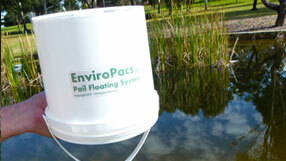 EnviroPacs TM boost biological activity to help mother nature clean water without chemicals. They are a special blend of granules in bio-degradable calico packaging that contain essential nutrients and provide a huge internal surface area to grow your own beneficial bacteria and microbes, creating enzymes that restore the natural balance. A floating hotel for bugs. 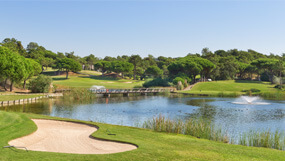 All water bodies contain naturally occurring microbes and beneficial bacteria but sometimes not in sufficient numbers to get the job done. 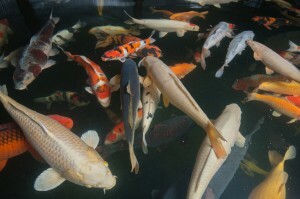 Fish wastes from overstocking, bird droppings, leaf residues or fertilizer run-offs disrupt the balanced environment. 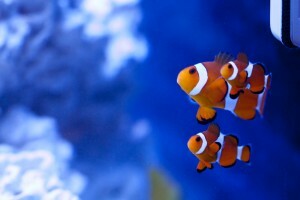 Water becomes cloudy or murky with less dissolved oxygen and fish toxic ammonia levels rise. Sulfur smells from bottom sludge discourage visiting bird life and help is needed to restore water quality. YES, but It takes time to build up colonies of microbes. Improvements in water quality can be achieved without creating future problems for marine life from residues of chemical treatments. The secret of success is to increase biological surface area and provide essential nutrients to grow large colonies of ammonia oxidizing microbes and water clearing bacteria. 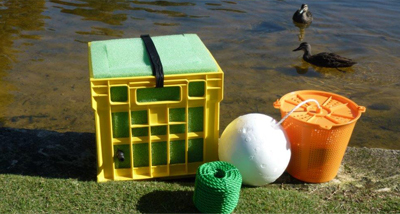 Enviropacs TM are a convenient way to do this in a compact portable form that can be targeted to problem areas and stored until needed. BIOREMEDIATION is the scientific name of this natural method of treating contaminated open bodies of water by changing the existing environment and stimulating naturally occurring microorganisms by providing extra nutrients and increasing the available surface area for them to multiply. 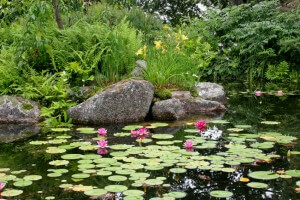 Planting reeds or floating reed beds produces similar results but take more time to establish and maintain. How are they best applied? 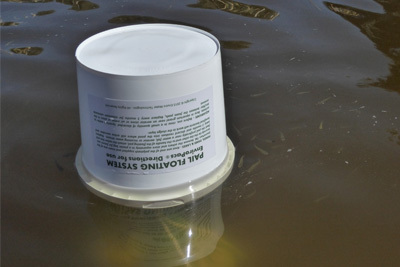 FLOATING in warm aerated surface water maximizes biological activity and provides better dispersion of water clearing enzymes or TOSS SOME IN THE SHALLOWS as sinking works directly in the bottom muck near oxygen depleted water that’s toxic to fish and small marine organisms. BOTH METHODS GET RESULTS and a combination is ideal. 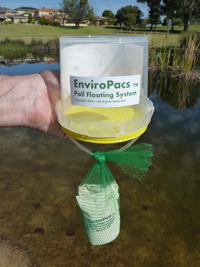 EnviroPacs TM calico packaging bio-degrades completely but active biological residues in the granules continue to work for months when discarded in the sludge layer. 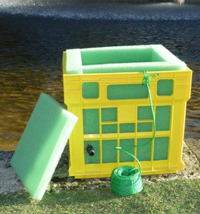 Super compact AERATED FOAM CUBES ™ and FLOATING PLASTIC CAGES quickly get water clearing enzymes where they are needed. Better dispersion means better results. 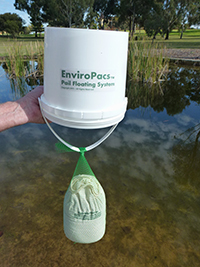 EnviroPacs TM granules clean water naturally by boosting colonies of microbes and beneficial bacteria already present in the aquatic system to be treated and adapted to local conditions. There is no need to import precultured bacteria from other sources. 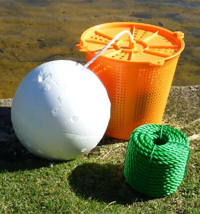 The granules are NON-TOXIC with no release of chemicals into surrounding water and may be safely used to treat water used by animals, birds, fish, prawns, tortoise, bottom dwelling crustaceans or for plants and grass. 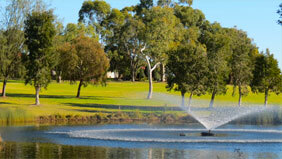 Ideal for gold fish ponds, golf course water features, zoos, fountains, council ponds and lakes. They increase yields in fish, prawn, and shrimp farms allowing higher stocking densities when floated or used in trickle filters for waste removal.